Experience the advantage of our powerful, all-in-one events management platform that makes it easy to create beautiful, branded event pages, sell tickets and manage attendees for events of any size. It’s easy! Inspire ticket sales, donations and high attendance. Create high-impact, mobile-optimized event pages offering multiple ticket types – in minutes. 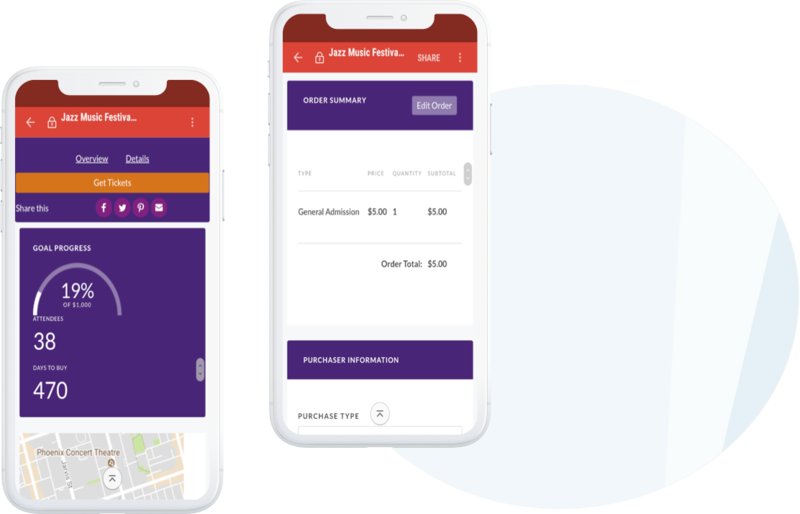 Boost attendance for both free and paid events with easy checkout, customized automated reminder emails and built-in messaging. Plus, COMING SOON, embed your event page directly on your website so donors never have to leave your site. Save hours of time. It just makes sense. 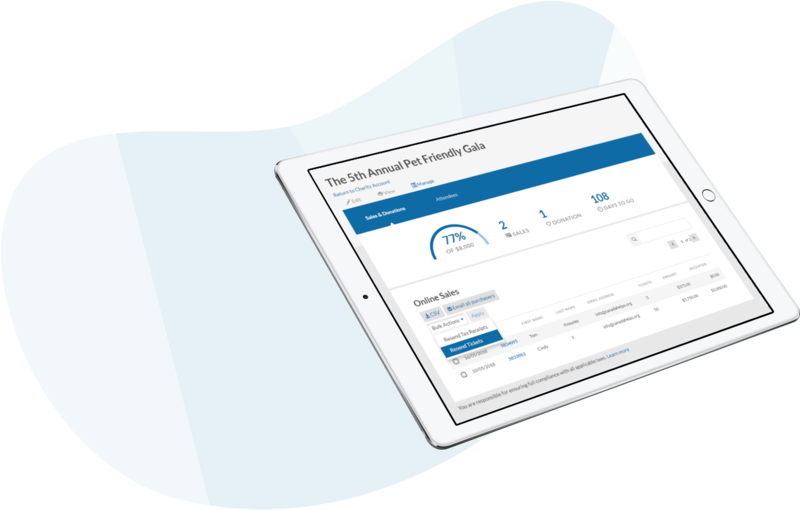 Cut costs (and stress) with a range of features designed to save you time and money, like point-and-click attendee check-in. Choose from automated tax receipting options, including split-receipting and post-event receipting. Lost tickets? No problem – resend new ones with a click. Online and offline, we’ve got you covered. Grow your event fundraising success selling tickets online and offline. 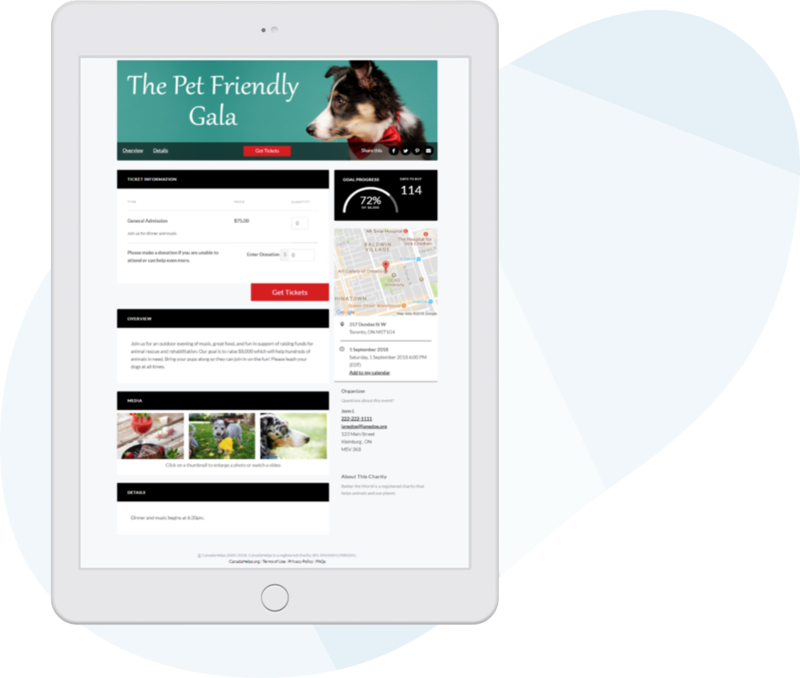 Add offline purchases to your CanadaHelps event to keep your fundraising progress up-to-date and track all attendees in one place. Then, sit back and let us take care of sending e-tickets, event reminder emails, and tax receipts (if applicable). 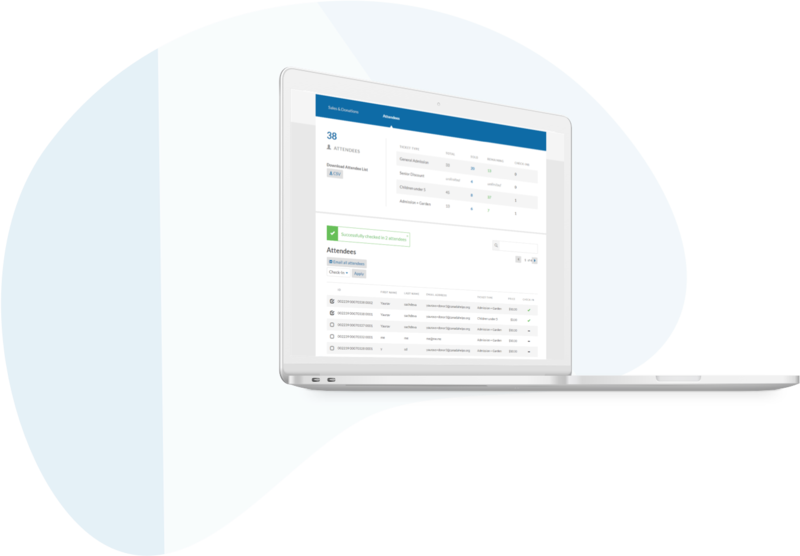 Track sales, manage attendees, access data reports – as it happens. Enjoy the convenience of digital event tracking using our real-time reporting dashboard. Review the number of tickets sold, donations made and days remaining – at a glance. Plus, gain insights from our easy-to-understand reports. Just one low transaction fee of 4.5% applies. No upfront fees. No monthly fees. Includes credit card costs.